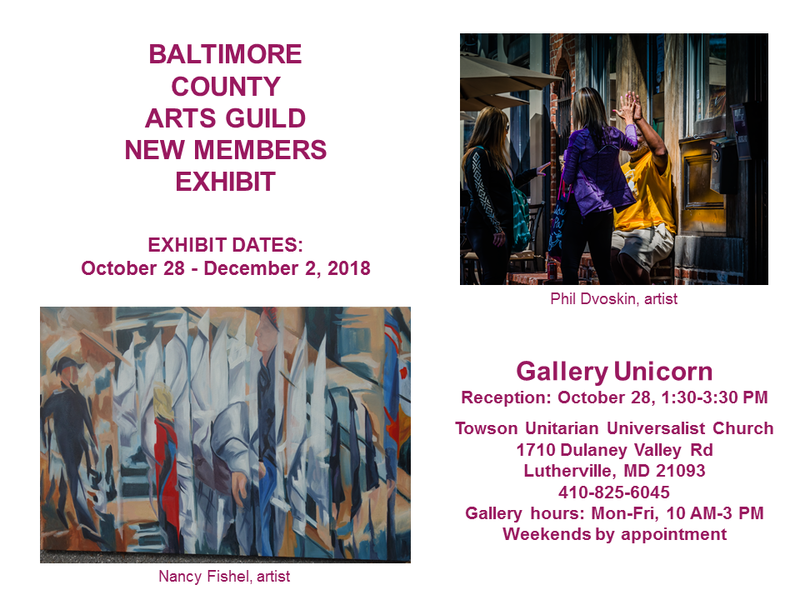 Gallery Unicorn is pleased to host the Baltimore County Art Guild Exhibition of diverse works from members of the Guild. This is a unique opportunity to connect with artists from the western part of the county.The exhibition will open on Sunday, October 28, 2018 with a reception from 1:30 to 3:30 pm and it will run through November 25, 2018. Gallery Unicorn is located at 1710 Dulaney Valley Road, Lutherville, MD, 21093 within the Towson Unitarian Universalist Church. For more information call 410-825-6045. People to People Auction - Stir It UP!